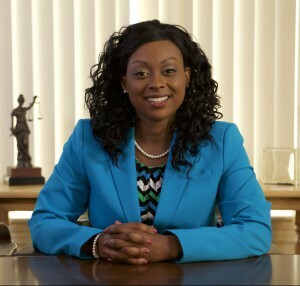 Attorney Nicole Bluefort is known for her aggressive representation. She is an experienced trial attorney who leads a six-person law firm with offices in Lynn and Boston. Attorney Bluefort focuses on family law, criminal defense, probate, and general litigation. She served as an Adjunct Professor at North Shore Community College’s ABA Approved Paralegal Program where she taught Civil Litigation, Legal Research, and Field Placement. Her education is extensive and impressive: a graduate of Boston College with a Bachelor’s degree in Communications and Hispanic Studies, Northeastern University School of Law with a Juris Doctor, and Tufts University School of Medicine with a Master’s degree in Public Health. 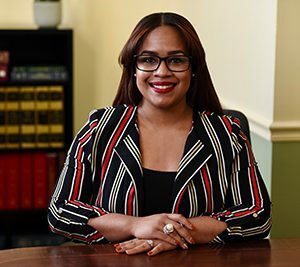 After graduating from law school, Nicole completed a two-year term as a judicial clerk for the first African American to be appointed to the Massachusetts Appeals Court, Judge Frederick Brown. Nicole is featured on billboards throughout the North Shore and Boston, has appeared on major networks such as CNN, ESPN, and FOX, and has commented on various legal issues in the Massachusetts Lawyers Weekly. Her list of achievements include: being named to the North Shore Community College’s Board of Trustees by Governor Charlie Baker, Massachusetts Lawyers Weekly Top Women of Law 2018, National Bar Association’s Top 40 Under 40 – Nation’s Best Advocates, The Network Journal’s “40 Under Forty Achievers” Award, President’s Marathon Challenge Award for Community-Based Research, Denise Carty-Bennia Memorial Bar Award, Woman of the Week for 97.7 FM and she was awarded the 2019 Business Woman of the Year Award from the Greater Lynn Chamber of Commerce. Nicole is a national and international speaker who frequently tours with the Black CEO Institute sharing her lecture The 5 Strategies for Building a Profitable Business. 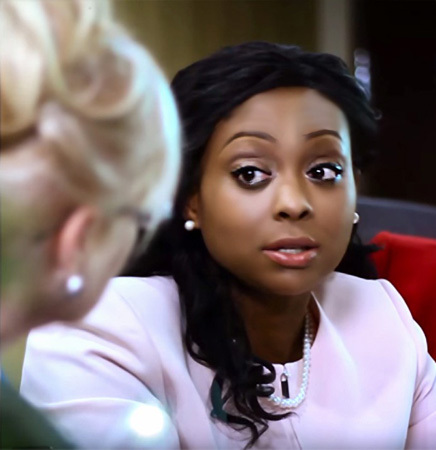 Nicole serves on the board of the Big Sister Association of Greater Boston, volunteers as an expert guest speaker at Northeastern University’s Business School, Boston Bar Association, Massachusetts Black Lawyers Association and Massachusetts Black Women Attorneys. She is a member of the Boston Bar Association, National Bar Association, Massachusetts Black Lawyers Association, Massachusetts Black Women Attorneys and the Boston Business Women Network. Rafaela G. Serrano calls it “powerful” to have a means to support clients in resolving their legal matters. As an independent attorney, she handles immigration cases for the Law Offices of Nicole M. Bluefort. Rafaela began practicing law in her home country of Brazil, where she earned her law degree from Estácio De Sá University in Rio de Janeiro. She holds a Master of Laws degree from Northeastern University School of Law and is pursuing a Master of Management degree with a focus on non-profit and public management from Cambridge College, both in Boston. Practicing as an independent attorney allows Rafaela to maintain her commitments to community organizations. She volunteers weekly at the Brazilian Worker Center in Boston, which fights for the social, economic, and safety rights of domestic and non-domestic workers. And she sits on the board of directors for the non-profit Community Dispute Settlement Center in Cambridge. Rafaela also specializes in international business law, counseling companies looking to establish their businesses in Brazil. She speaks fluent English and Portuguese and is proficient in Spanish. Jasmine Wells is an Associate Attorney who specializes in family law, employment law, and estate planning. 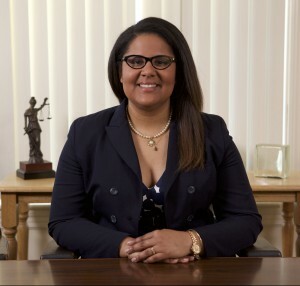 Before joining The Law Offices of Nicole M. Bluefort, Jasmine was an Adjunct Professor at Eastern Nazarene College, teaching adult education law courses including Employment Law, Negotiation and Conflict Dispute Resolution, and Business Law. Jasmine holds a Bachelor’s degree in Political Science from Spelman College and a Juris Doctor from Vermont Law School (VLS). During her time at VLS, Jasmine was a VLS Merit Scholar and Honors Law Clerk at the U.S. Environmental Protection Agency. She is admitted to the Massachusetts Bar. Jasmine is known for her personalized approach, responsiveness, and her ability to resolve difficult disputes. Norelda Kaja emigrated from Albania to the United States in 2008 to further her law career—so she understands how persistence produces results. Norelda became a licensed attorney in her home country because she saw that the justice system wasn’t always fair, and people believed they didn’t have power and their rights weren’t protected. She saw an opportunity to continue this advocacy in the United States. Since arriving in the United States, Norelda earned an associate’s degree in paralegal studies from Northshore Community College in Danvers, Massachusetts. She graduated from Northeastern University School of Law on May 2017 with a Masters of Law degree. Norelda speaks fluent Albanian and English and is a member of the Massachusetts Paralegal Association. Her experience includes matters related to business, real estate, family, and criminal law; personal injury; estate planning; and probate (the court process of certifying or invalidating a will). In this role she assists attorneys and Senior Paralegal in the preparation of transactional closings, depositions, hearings, trials, and conferences; drafting, preparing legal documents, including pleadings, correspondence, briefs, and motions . She is currently pursuing a Bachelor of Psychology at Salem State University, is fluent in Spanish, and brings a wealth of client service experience. For the last four years, she has worked in law firms practicing in the law of immigration, criminal, family and CPCS. Angelica Sanchez is the Legal Secretary. In this role, she works closely with attorneys to prepare court pleadings and correspondence, respond to client inquiries, and manage client files. She oversees all office operations and logistics and maintains the calendar for the entire firm. Before joining the firm, Angelica was a paralegal at Edward Holzberg, Esq and previously a law clerk for McDonough, Hacking & Lavoie, LLC. She holds a Bachelor’s Degree in Business Administration from Salem State University. Angelica is dedicated, goal-oriented and has a passion for learning and a desire to help others. Our approach Is simple – we strive to provide you The Best Legal Solution. 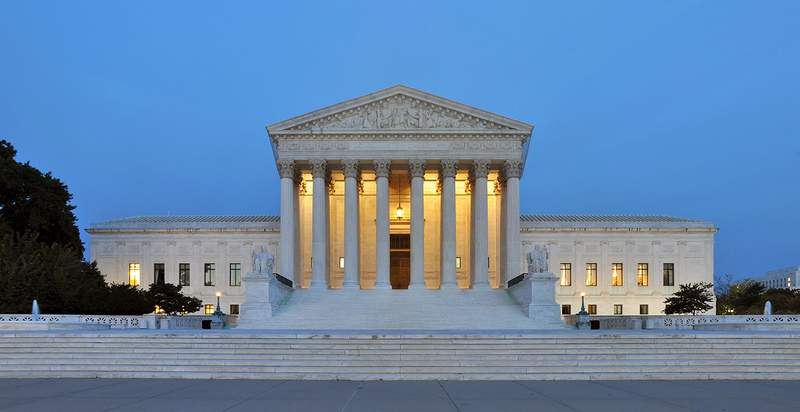 It does not matter what kind of legal issues you are facing. Get in touch with the Law Offices of Nicole M. Bluefort and we will help find a solution to your problem quickly and effectively. Be it property conflicts, accident law, divorce settlements or business contracting – we have all the resources available to provide you exceptional and personalized legal services..
Our aim is to provide you the best legal services with a committed and friendly attitude. Our legal services are not limited to just one area but we deal with a variety of diverse cases. Be it accident law and personal injury, family law or business law, criminal law or real estate services – we cover it all. So, whether you want to draft your will, are going through a painful divorce or need help setting up a new business, just Contact the Law Offices of Nicole M. Bluefort and we will find a feasible solution for you. Dedication and complete attention to your case is one thing that sets us apart in the industry. At the Law Offices of Nicole M. Bluefort, every member of the staff is committed to provide exceptional service and dedicated support from the very first meeting so you can attain complete peace of mind. Attorney Nicole M. Bluefort personally stresses upon the importance of one-on-one communication and makes sure every client receives personal attention and above average service. This is the main reason for the law firm’s credible reputation in the area. Most of the firm’s clients are also referred by former clients because of our unmatched level of dedication and professionalism. Attorney Nicole M. Bluefort's impressive resume is another reason that makes our firm the best choice for a variety of legal issues. 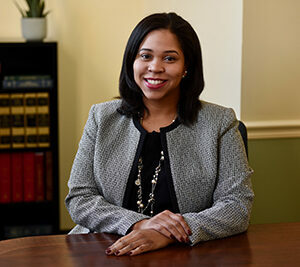 Aside from a degree in law, Attorney Nicole M. Bluefort also holds a Masters degree in Public Health from the Tufts University School of Medicine. This dual background in Law and Public Health works in her advantage as she has a deeper understanding of health-related legal issues such as health law, disability law, elderly law, environmental and energy law, family law, food and drug law, genetics law, and medical malpractice. She also has a vast experience of working with some of the best legal names in the country and has served in both public and private Law. She holds work experience at the Massachusetts Appeals Court, United States District Court, United States Attorney's Office, and was an Adjunct Professor of Litigation (Civil Trial and Appellate Practice) and Field Placement Seminar in an ABA-Approved Paralegal Program. Born and raised in North shore, she not only has a keen insight over the local issues but is also actively involved in social services and community work. Personal attention from your legal attorney when you are already facing issues can be extremely helpful. To make sure that all our clients stay stress free, we are available both during business hours and upon appointment. 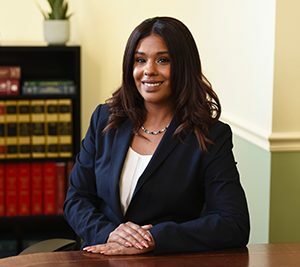 Attorney Nicole M. Bluefort is readily available to listen to all your queries and suggestions and we strive to create a long term relationship based on mutual understanding with every client that we serve. 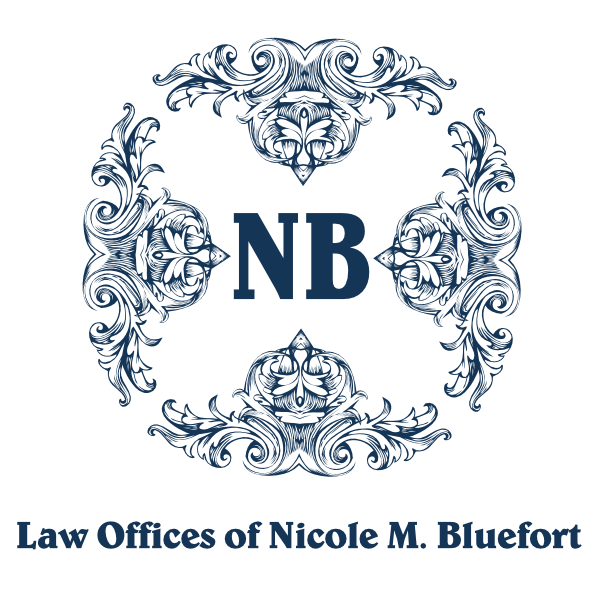 At the Law Offices of Nicole M. Bluefort, our motto is to provide personalized services to ensure client satisfaction. We don’t rush with a case – instead, we will listen carefully to your concerns, duly explain all the available options and legal processes pertaining to your situation and then advice you on the best direction to move in. Contact us for a free consultation today and discover the best legal solution to ease your worries.